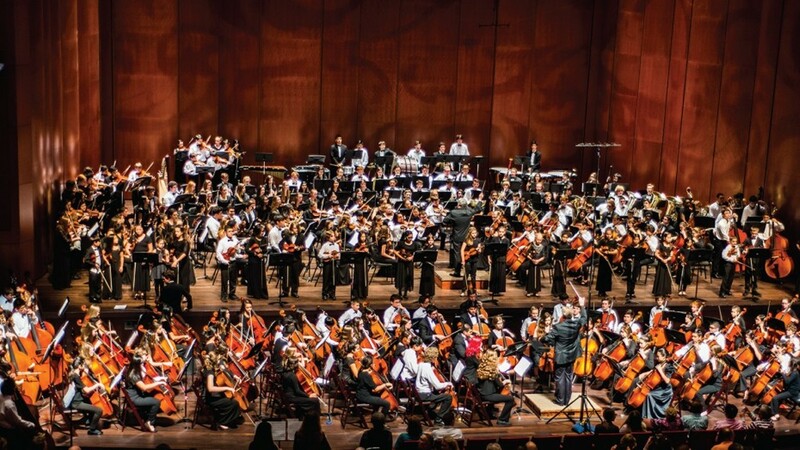 It’s time once again for YOSApalooza, the one-night feast of classical music offerings presented yearly by Youth Orchestras of San Antonio (YOSA). This special event — which fits right in with YOSA’s mission to “enhance education, enrich the community, and transform lives by pursuing excellence in classical music in a stimulating, nurturing, and fun environment that is equally accessible to all youth” — showcases all nine of the YOSA orchestras, with the program finale featuring everybody (more than 500 musicians of all ages). The program for this year’s YOSApalooza features music from Gustav Holst’s celebrated work The Planets, Carold Nunez’s M to the Third Power and Apache, Claude-Michel Schönberg’s Les Misérables, and much more, including ragtime, modern and older works, and even “Colors of the Wind” from Pocahontas. It’s a staggeringly diverse program of music that is sure to provide something for everyone.